Iberiandrinks is composed of independent family run wineries across the Iberian Península. As we are small producers, we joined together to export Spanish and Portuguese wine. The Export department Bea and Diego, with wide experience in the wine trade, we organise orders, assist you and put you in direct contact with the winemakers. We produce sustainable wines, following the organic and biodynamic farming. For that, we work in the vines carefully, to obtain healthy local grapes that reflect in the wine the best varietal expression. Therefore, we try to work with minimal intervention in the winery, such as spontaneous fermentations with indigenous yeast, low in sulphites, and no wine corrections. According to this philosophy we focus on the authenticity of the “terroir”. You buy at EXW prices. Iberiandrinks is not a middleman but the export department of all those small wineries that manage and organise your orders offering you a great value wine portfolio. We have been working with the winemakers for the last few years and involved with them about each single project. Bea and Diego are awarded by the WSET advanced. We have a wide experience in the wine industry and International trade. We are committed on Organic, Biodynamic and Natural philosophy. Our role is to represent all our winemakers worldwide and introduce them to people who share our values. Moreover we organise logistics and administration in order to give you the best and quickest service possible. You buy at EXW prices and also you can place an order of any wines from our catalogue. That works because we consolidate the order in pallet or container basis for you in one location in Spain, where you can collect it. For any other enquiry or further details, please do not hesitate to contact us. All producers are family run wineries and all have the same common criteria, make authentic wines from their respective wine area in Spain and Portugal. Each single wine of the portfolio is the result of generations of knowledge about vineyard managing and winemaking. All wines are made in small-scale production and the use of best-adapted local grapes. The wine areas that we represented are: Portugal: Douro. 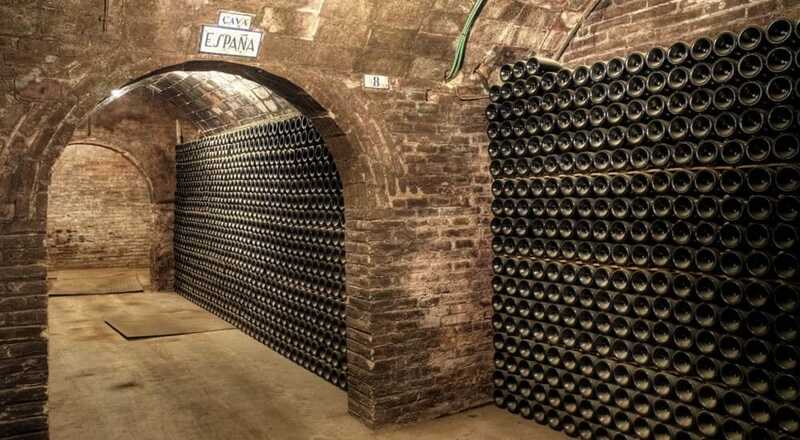 Spain: Castilla y León, Cava, Montsant, Rias Baixas, Ribeiro, Rioja, Priorat and Utiel-Requena. Bodegas Carres is located in the province of Valencia. Jose Luis runs now the third generation family run winery. 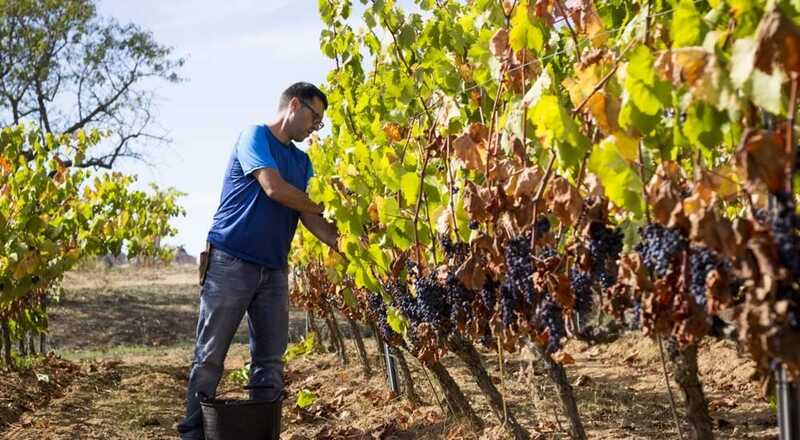 He produces organic wines and follows some of the biodynamic methods with local Bobal grapes. The vines are 35 to 100 years old and are strictly selected from their own estate vineyards. The vineyards are slightly inclined towards a high central plain at an altitude of approximately 800 metres. This provides freshness in this hot area. Due to his constant care of the vines, neither sulphur nor copper is applied into the soil. Also wind flows quite often, helping to avoid fungal diseases. At the winery the intervention is minimal with spontaneous fermentations and very low levels of sulphites. It has Organic Viticulture Certification from the CAECV (Valencian Council of Agrarian and Organic production). Wines: Membrillera red and Olivastro red. Actual production: 12.000 bottles. This is the fifth generation of Ayala family run winery. The 30 hectares of vineyards owned, are spread within Rioja DO, between the sub-regions of Rioja Alta and Rioja Alavesa, both famous for its high quality generous, chalky soils. The winery is located in the town of Briñas . The range of Santurnia wine brand comes originally from the name of the land where the best vineyards are located. Deobriga –Briñas-, is the old name of the original village where the pre roman ancestors built an original Stone press in the rocks near Ayala’s winery. The new winery is built underground to obtain the best conditions for winemaking and ageing process. This versatile winery produces old style Riojas like Crianza, Reserva and Gran Reserva but also modern ones. Those are Deobriga Selección and Santurnia Joven, made in Carbonic Maceration. Production: 100.000 bottles aprox. 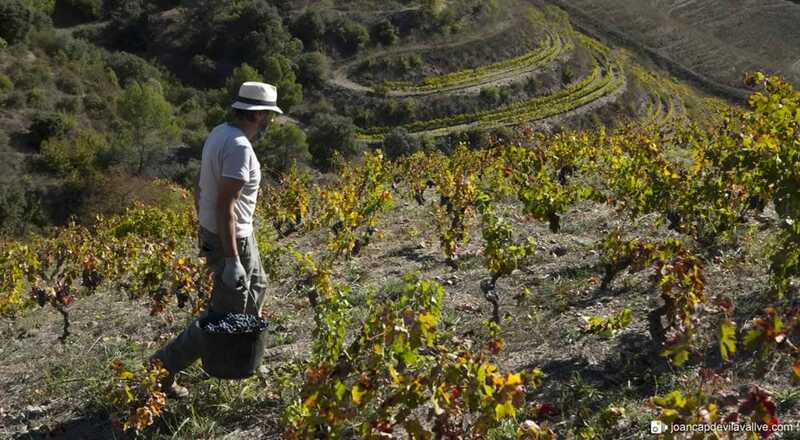 Salvador and his wife Conxita are taking care of the vines and the winery, located in the small valley of Poboleda, in the heart of Priorat. Mas Sinén is the name of the cellar and is surrounded by the old vines planted in 1950’s. Priorat has the particular terroir called Llicorella. This soil is high in fossils that gives its particular minerality and gives complexity and freshness to the wines. Toni Coca is the winemaker of Celler Burgos Porta, who has expertise working in different wineries. 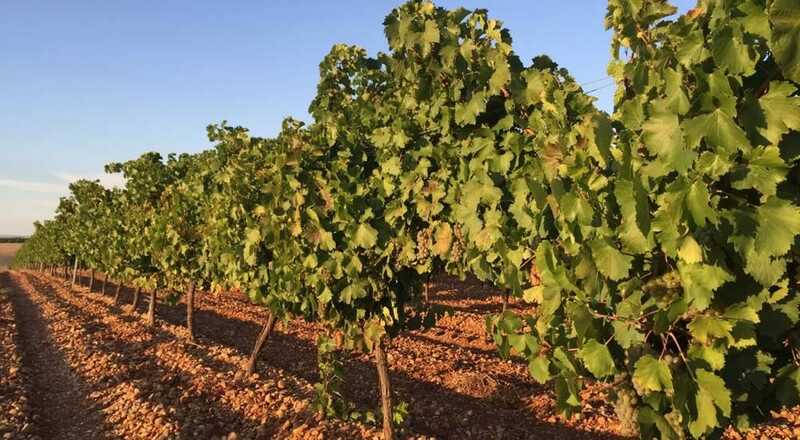 Small production of high quality wines and they released its first organic wine in in 2003, certified by CCPAE (Catalan Council of Agrarian Ecological Production). Wines: Petit Mas Sinen red wine and Mas Sinen Negre red wine. Cava Varias winery is located in the town of Sant Sadurní d’ Anoia, province of Barcelona, capital of the Cava. Cava follows the traditional method Champagnoise, second fermentation in the bottle, minimum of nine months. Cava DO covers a number of different geopraphic areas of Spain. In Penedes region the traditional grapes are Macabeo, Xarel.lo and Parellada. Brut Nature indicates that the wine has no dosage of sugar. El Celleret Brut Nature has been aged for a minimum of 12 months in bottle and El Celleret Brut Nature Reserva for at least 24 months. 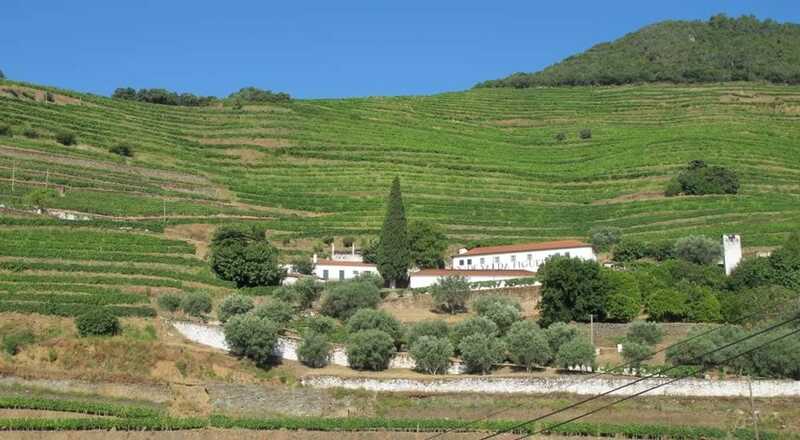 The Quinta de Val da Figueira is located near Pinhão in sub-region of Cima Corgo, heart of DOC Douro, Portugal. Dating back for five generations, the winery produces its wine in the traditional way – foot trodden in stone tanks “lagares”. The majority of the vineyards are almost 30 years old with 10% of the estate still planted with traditional low yield vineyards, which are over 70 years old. The winemaker João Cálem selected the best grape varieties of the estate to express their maximum potential. Wine: red wine Reserva 2009. Production: 4500 bottles. Port: 10 year old Tawny Port. Eduardo and Beatriz have been working in organic viticulture since 2010. 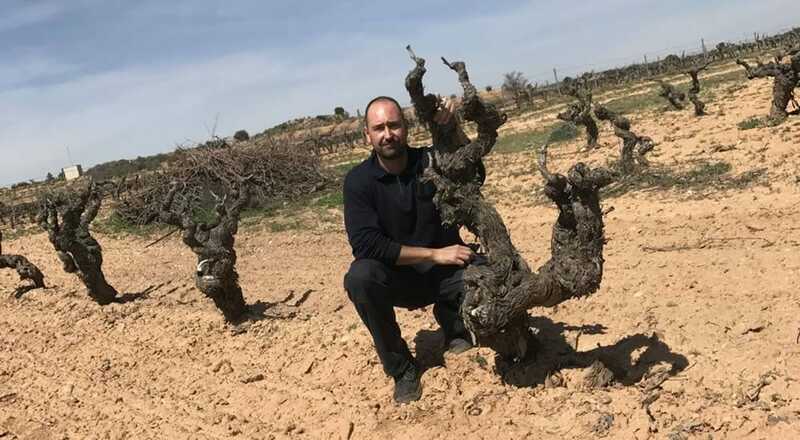 The vineyards from San Boal are located Pozaldez, Valladolid, within the Rueda D.O, but they don’t belong to the appellation because their approach to viticulture and winemaking is opposite of Rueda's industrial phillosophy. In this single vineyard, called La Encina, harvest is made by hand. This Certified Organic wine is made with 100% Verdejo grapes and macerated with the skins for few hours. The fermentation process takes place with indigenous yeast and is left on its lees for 8 months through the process of battonage. San Boal white wine is showing the original flavours of Verdejo grape. Production: 10.000 bottles. Check out some of our best wines. Dry white wine made from 100% Albariño grape. Spontaneous fermentation with native yeast, malolactic fermentation and left with its the lees for 2 months. Fresh and balanced after taste that accentuates the fruitiness of Albariño grape. 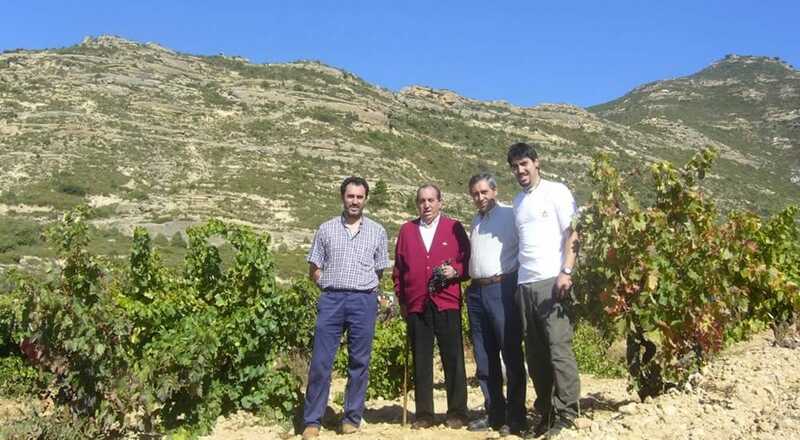 Prólogo wine is the latest project of Juan Carlos, the winemaker from Carballal. This albariño wine is very low in sulphites, no added 30 Mg/L. Spontaneous fermentation in stainless steel with native yeast and malolactic fermentation. Breeding over fine lees for 5 months to get texture and personality. Notes of citrus and floral. Integretade acidity. It’s rounded, elegant and structured. Organic red wine made from Bobal native grape. Membrillera is made from vineyards over 35 years old. Spontaneous fermentation with indigenous yeast and aged for 5 month in small barrels. Low in sulphites. Intense fruitiness, rounded and balanced with a long afterrtaste of ripe fruits. Organic red wine. Olivastro is made from the local grape variety of Bobal, vineyards between 50-100 years old. Hand harvest picked, spontaneous fermentation with native yeast and aged in small oak barrel for 12 months. Olivastro shows the best expression of Bobal grape. Has a persistent fruity character with a long after taste, complex and very elegant wine. Viña Santurnia Blanco is a Rioja Joven white wine. This is a blend of Viura 90% and Garnacha Blanca 10%. Fermented in stainlees steel tank. No aok, easy drinking fresh and clean with floral notes. Rose wine from Rioja blend of 85% Viura and 15% Garnacha Tinta. The grapes are destemmed and put in the tanks where the cold maceration takes place for 48hours. Alcoholic fermentation in stainless steel with control temperature. Viña Santurni Tempranillo is a red Rioja Joven made from Tempranillo grapes. Fermented in temperature controlled stainless steel tanks, by the method of of carbonic maceration, enhancing its fruity character of the Tempranillo grape. Blackberry, young and fresh and well balanced. Viña Santurnia Crianza is a Rioja red wine. Made from Tempranillo grape. Hand harvest. Ageing in American and French oak for 24 months. Ripe fruits, rounded and well structured. Viña Santurnia Reserva is a Rioja wine. Hand harvest, blend of Tempranillo, Graciano and Mazuelo. Ageing in American Missouri and French oak for 30 months. Classic Rioja Reserva, notes of toasted and leather. Good balance and structure. Viña Santurnia Gran Reserva is a Rioja red wine. n. Ageing in oak cask of American Missouri 80% and French oak 20%, during 24 months. Unfiltered. Balanced with well developed tannins, full bodied ripe black fruits with balsamic, persistent and very long fruity finish. Rioja Blanco made of Viura 90% and Garnacha 10% grapes from old vines. Hand harvested bunches selected. Macerated with the skin grape for 5 hours, fermented in small French oak and left four months with the fine lees. Well structured and rounded, mineral and fruity aftertaste. Dry red wine Viña Santurnia Deobriga. Hand harvest, blend of 90% Tempranillo and 10% Graciano grapes, over 40 years old. Fermentation in stainless steel tanks. This process was done using 20% whole bunch and 80% destemmed grapes. Aged for 14 months in French and American oak barrels. Deobriga Seleccion Familiar is the best selection of the vineyards from the Bodega. Organic wine made with 100% Verdejo grapes, macerated with the skins for few hours. The fermentation process takes place with indigenous yeast and is left on its lees for 8 months through the process of battonage. Organic red wine from Montsant. Grenache and Carignan grapes, from 10-40 years old vines. Hand harvest. Spontaneous fermentation in stainless steel tank and aged for 5 months in French oak. Serè is a dry wind that comes from the interior peninsula. This wind is ideal to get the best conditions of the vineyard because it prevents the development of fungal diseases. Organic red wine from Priorat. A blend of Grenache, Syrah, Cabernet Sauvignon and Merlot planted in the Lliocrella soil. Spontaneous fermentation with indegenous yeast in stainless steel tank. Aged for 6 months in French and American oak. Good balanced, minerality, ripe fruits and freshness. El Celleret Cava Brut Nature, Cava Varias. Sant Sadurni d´Anoia. El Celleret Cava is a blend of Macabeo, Xarel.lo and Parellada by the traditional methode of champenoise. Brut Nature indicates that the wine has no dosage (sugar) at all. Second fermentation minimum of 12 months in bottle. El Celleret Cava Brut Nature Reserva, Cava Varias. Sant Sadurni d’ Anoia. El Celleret cava is a sparkling wine made in traditional method way. Blend of Macabeo, Xarel.lo and Parellada. Located in Sant Sadurni d' Anoia. Brut Nature indicates that the wine has no dosage (sugar) at all. El Celleret Brut Nature Reserva has been aged for a minimum of 24 months in bottle. This Portuguese red wine Douro is made in the traditional way, foot trodden in stone “lagares”. Fermented in stainlees steel tanks and aged in small French oak barrels for 8 months. The vines are over 40 years old. Unfiltered. This is a full bodied red wine, with rounded tannins, long and complex finish. Grape: Touriga Nacional, Touriga Franca, Tinta Roriz and traditionally planted low vineyards.